Voice Over Vermont | What is Voice Over? So just what is voice-over, anyway? Simply put, a voice-over (or voice over or voiceover) is when the recorded voice of an unseen person is used in an audio or video production. Voice-over elements are typically read from a script and placed “over” film or video to provide an explanation or extra information. While many people most readily associate voice-overs with documentaries or news broadcasts, they are also used in a variety of other situations, including radio (over music), video games, phone recordings (on hold messages, etc. ), announcements, commercials, educational materials, museums, tourist attractions, etc. Voice-over is often used live for events, such as awards ceremonies. It also includes providing the voices and characters for cartoons and other animated characters and can be used as a device to narrate a story. When used over film, video or other visual recordings, voice-over can be used for a variety of purposes. The voice can be a narrator in a story, providing background details that aren’t shown as part of the action, or to provide insight into a character’s thought process. This is often a device employed in movies, television shows and other works of fiction. The voice can be that of a character or of someone outside the story who can provide a more complete explanation of the circumstances of the story. Sometimes voice-over is used to maintain continuity between scenes of a story by explaining what’s happened between scenes. Voice-over is an important part of radio production and is used for everything from station identification to advertising. The introduction at the beginning of a radio program is generally recorded by a voice-over artist. Jingles are musical voice-overs. Promotional messages, advertisements, and announcements are also examples of voice-over used in radio programming. When you watch the news, you often hear a voice-over video clips of news events. The voice-over, in this case, explains what you’re seeing on the screen. Documentaries make extensive use of voice-overs to describe, explain and expand upon the visual information presented. These voices are sometimes provided by an expert in the subject matter. Most educational videos use voice-over artists to deliver much of the information being presented to their audience. Voice-over is also used in interactive programs and games. Voice-over is particularly useful for auditory learners, who find it easier to absorb information by listening as opposed to reading. Whether for radio, television, or online formats, the advertising industry makes extensive use of voice-over. Radio advertisements often include a script read over music or other background sound. Television or video advertisements use voice-over to explain what exactly is being offered and to extol the virtues and unique benefits of the advertiser’s product. Advertisers often choose to use a distinctive, easily recognizable voice to set them apart from the competition. As technology progresses, voice-over actors are utilized in a greater variety of mediums. Siri and Alexa are two voices most people now easily recognize. Your GPS devices probably use voice-over navigational aids. Many children’s toys utilize voice-over. 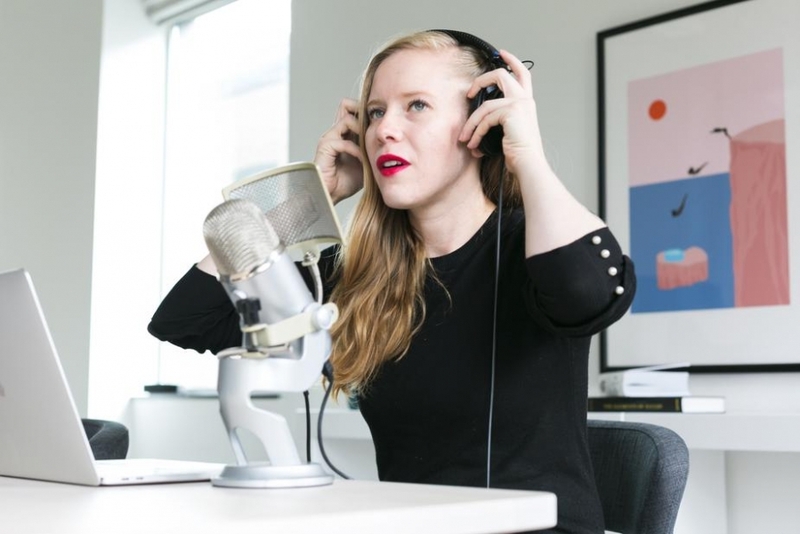 Podcasts are another example of voice-over many of us encounter regularly. Most movie trailers use voice-overs, and most people are familiar with the deep tones of the guy who often starts trailers with the phrase, “In a world where…” Audiobooks are essentially the voice-over of an entire book. Even that less-than-welcome “your call is important to us, please continue to hold” message is an example of voice-over. It’s everywhere, helping us to navigate an increasingly complex and information-packed world.